Pennsylvania SPCA officials seized 15 dogs from an unlicensed breeder who illegally “debarked” three of them without anesthesia. 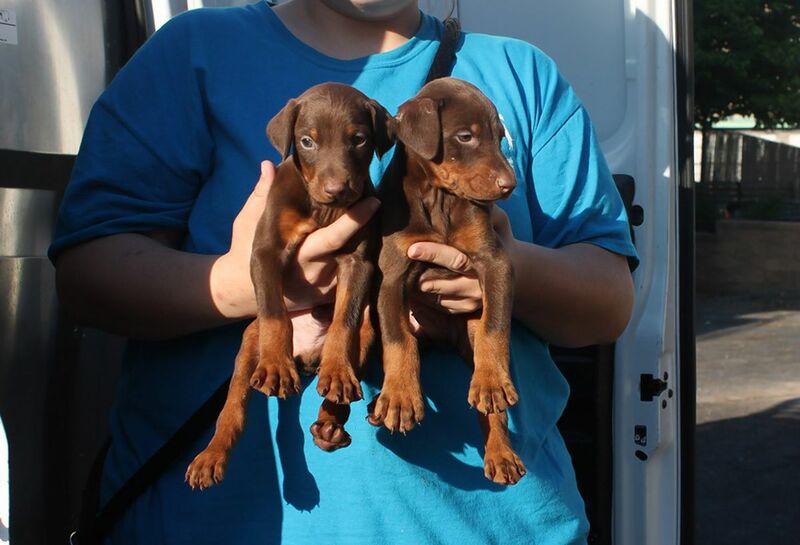 Two more adult Doberman’s, nine weeks-old Doberman puppies, a three-month-old Siberian husky and a pregnant German shepherd were also rescued from the breeder. “The dogs were debarked by pushing a pipe-type object down the throat multiple times to damage the vocal chords,” PSPCA spokeswoman, Gillian Kocher, told The Daily News. The controversial technique is meant to prevent dogs from barking but many vets refuse to do the surgery because, “these procedures provide no medical benefit to the animals and are done purely for the convenience or cosmetic preferences of the caregiver,” according to the Humane Society. Devocalization is not “widely” taught in veterinary schools. The injured dogs were brought to the SPCA’s Philadelphia headquarters for treatment and further examination after their rescue and now, the organization is conducting a full criminal investigation. “The manner in which these dogs were devocalized is concerning on many levels, not the least of which is that it is illegal,” PSPCA director of humane law enforcement, Nicole Wilson, said in a statement.